Estonia is considered by many to be the world’s most advanced digital society. Since 2001, it has benefited from an eID program that includes a government-issued digital identity capable of facilitating e-voting, virtually all citizen-to-government transactions as well as a growing list of individual-to-business transactions. The small European Union nation also is the first and only country to offer an eResidency program. This allows people from around the world to start a company and open a bank account in Estonia without being a traditional resident. Digital nomads from around the world are flocking to the eResidency program for the flexibility it provides to geographically unbound entrepreneurs. Thanks to these efforts, along with an overall embracing of digital-first services, Estonia is becoming the land without queues or lines. 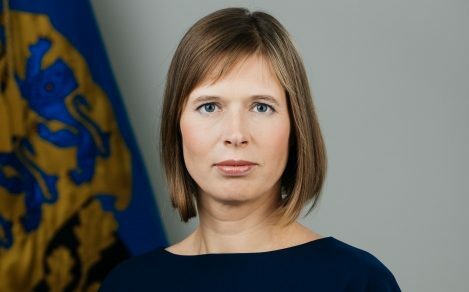 In a speech to the St Gallen Symposium, Estonian President Kersti Kaljulaid provides a great perspective on her country’s experience going digital. She also forecasts the challenges nations of the world will face as the nature of work and the workforces changes so dramatically that governments lose their ability to generate traditional tax income. Below are select excerpts from the speech, with the full text available here. Following her explanation of the Estonian experience, she addresses the changing nature of work and taxation. It is a unique perspective that it can be argued only Estonia is fully grasping due to their pioneering eResidency program. Read her full speech to learn of her concerns about the future of taxes in a world where work is sporadic, geographically unbound and hard to measure.